Do you fancy learning a new language but you have a busy schedule? Why not hit two birds with one stone by taking on the new language in your spare time through web courses? But first, which language should you learn/improve? Enrol for an online course today and open the doors for more opportunities in your personal and professional life. You must learn English – that is not debatable. But as your fellow professionals, we understand that juggling the hustle and bustle of life is already a hectic affair. Allocating extra hours to drive to a learning institution and sitting in a classroom might seem chronologically impossible – unless you are willing to sacrifice your sleep and disrupt your life balance. This is why we offer a highly effective alternative to maintain a healthy work-life balance while learning English. The popularity of the internet has transcended all cultural and geographical constraints associated with classroom learning. Below are 10 reasons as to why you should enrol for an online course in English today. Imagine mastering English in a self-scheduled and self-regulated learning environment – it sounds ideal, right? Taking an online course in English allows you to seamlessly navigate the time-critical schedules that characterize our lives. Take charge of where and when you want to learn thanks to self-learning under the guidance of a professional today. Who wouldn’t want to learn a new skill or language while saving hundreds of dollars in the process? Shave off unnecessary costs related to classroom equipment and space by leaning online. With an online course, all you need is the right software and hardware to log on and obtain the study material. An article by Kyung Lah appearing on CNN claimed that large companies are increasingly making fluency in English a necessity among their workforce. Courtesy of globalization, companies want to communicate more, and which is the most widely spoken language? Your guess is as good as ours. Study English today from your office or home and become part of the globalization phenomenon. Most of the people who learn English as a second language probably went through compulsory schools. You were forced to sit in a classroom repeating and memorizing vocabulary and phrases. If you were left behind for any reason, you were forced to find a private tutor or study harder. After years of compulsory learning, you finally completed your studies and you stopped practising your English. As expected, your English prowess became sloppy. What do you do now when you need to improve your English for business or personal reasons? Do you go back to the classroom system you detested? If you can relate with the above situation, you’ll be relieved to know that online courses in English remove the pressure of keeping up with other students. You are in total control of your progress. Is the material easy for you? Just knock out the units in record time and move on to the next stage. Similarly, if the concepts are more abstract and complex, you can spend some extra time to let them stick with you. Are you a student, a working professional, or a parent who wants to improve his/her English? We have good news! You can still take that vacation with your family and attend your English class at the same time. Utilize those few minutes before everyone gets ready to go to the beach and learn a few valuable English expressions – all you need is an internet connection. With the right tutor and course material, English can be as easy as one, two, and three. A carefully drafted course can make online learning seem effortless. Successfully completing the course will enable you to understand some crucial pop culture references that may go a long way in helping you ‘win the heart’ of a potential business client. But don’t forget the keywords – the right tutor and the right course material. A recent survey showed that 45% of online students reported an increase in salary while 44% witnessed some level of career growth. 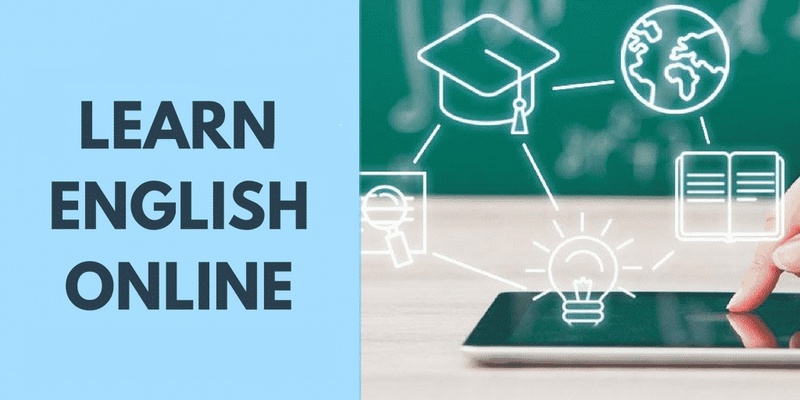 Learning English online helps business people and other working professionals to obtain skills and experience that will help them advance in their careers. We all want to reap the maximum results from our investment, whether in learning a language online or trading shares. The lack of distracting classroom activity can help you to focus and process information more efficiently. Learn English without having to deal with embarrassing moments such as a mispronunciation in front of a classroom. This also applies to shy people who are not comfortable with face-to-face interactions. Finish our English Business Course and take pride in your ability to communicate with a majority of people in the world. You’ll also have a glistening resume to show off in your next interview. Just take that English course you’ve been postponing or writing in your new year’s resolution list for the past 5 years. It is estimated that you can master English by sparing as little as 10 minutes daily. What are you waiting for? A whole world of new opportunities is a click away. Enrol now!